Rugby is growing at an unprecedented rate around the world and the financial success of Rugby World Cup enables World Rugby to fund the development and growth of the Game worldwide. However, as the Game grows so does the demand for financial resources. 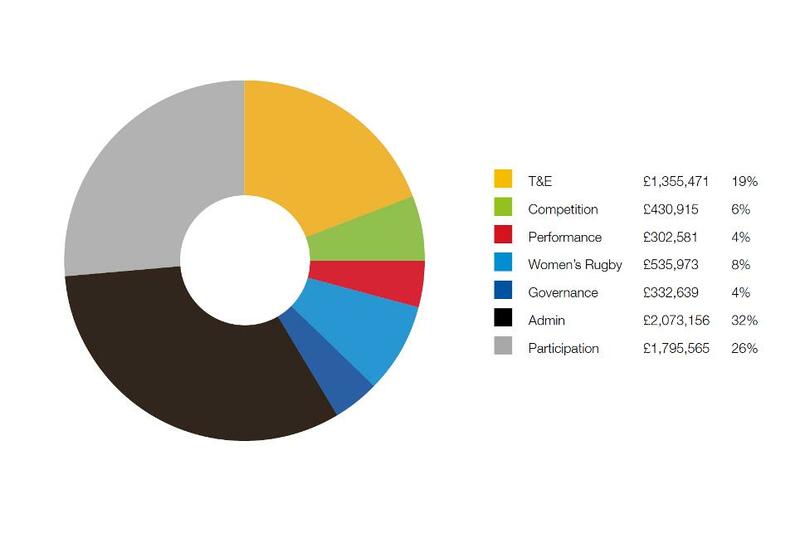 95% of World Rugby’s revenue, is reinvested directly back into the Game via the Member Unions and World Rugby’s targeted funding programmes. A new support service was trialled in Oceania in 2013 to provide information and expertise to Unions in the area of commercial, marketing and sponsorship support. This will be expanded in 2014 to the other Regions. This approach applies recognised terminology, clear definitions and broadens the scope of how we work with and support Unions. Development Grant funding will be allocated for both Core and Programme funding. Minimum and maximum amounts of funding will be available at each of the Banding levels. 1. Core Funding Investment to support effective operation of the Union in the following areas.